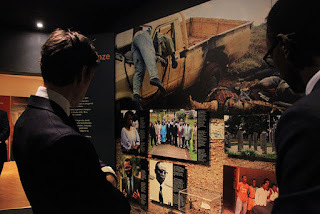 KIGALI, RWANDA (THE NEW TIMES) -- United Kingdom (UK) minister for Africa and the Department for International Development (DFID), Rory Stewart on Tuesday paid tribute to victims of the 1994 Genocide against the Tutsi at the Kigali Genocide Memorial, Gisozi. Stewart laid wreath on grave, where remains of over 250,000 victims rest at the memorial. 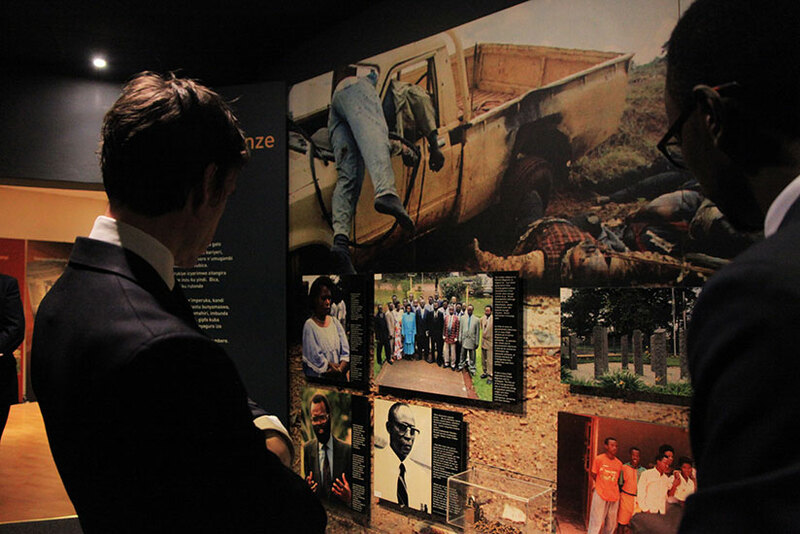 He also toured the museum, and was briefed about the role that the international community played during the Genocide. “This is the most troubling and emotionally moving thing. It is impossible to imagine what the people of Rwanda went through. It is one of the horrifying events in the history of the world,” he told the press after his tour. “This museum tells the very exact story of what happened. It teaches you so much, not just what happened in Rwanda but the responsibilities of other countries for what they could have done to help stop the causes of this. It also sends a strong message to the international community like the United Nations,” Stewart added. Earlier, Stewart visited UK aid funded projects in Rwamagana District. “This was a chance to visit some of the DFID funded projects that we carry out in Rwanda, including infrastructure and education [projects], but also an opportunity to meet with the President [Kagame] and learn about the development in the country,” he said. He said he was impressed by how much impact the funded projects are making, but also pledged more support to improve standards. “I have been impressed by the standard of education which is going on, but we would like to do more in this area. It is exciting that students are going to school, but the challenge now is how to improve the standards particularly in Math and English education in schools,” he said. He added that he was struck by how much development that Rwanda has made for only 23 years after the Genocide, and how the government is committed to driving development. “I have travelled a lot in many different African countries but I have never seen such a commitment in Rwanda when it comes to improving roads, infrastructure, businesses, education and healthcare. It’s really a strong congratulation to the Rwandan government for the development successes,” he noted. The UK minister met with President Kagame and some government officials including the minister for Finance and Economic Planning, Claver Gatete as well the Foreign Affairs minister, Louise Mushikiwabo. The ministers discussed areas of mutual interest for the two countries, including the development partnership, economic growth, trade and the Commonwealth. The UK government through TradeMark East Africa (TMEA) supports cross-border trade between Rwanda and other countries in the region. However, the visiting minister thinks that political tensions in the region should be addressed to ensure sustainability of what is being done. “President Kabila must hold elections to ensure stability. Without stability there would be no peace, and without peace the trade which would be so much important for the Rwandan economy would find it difficult to get off the ground,” he said. Meanwhile, the UK minister said Britain leaving the European Union, will give them chance to build strong economic partnerships with Africa and other countries. “Britain will leave European Union for sure and this will be within two years. But once we leave, for us, it will be a beginning of a new chapter for building new partnerships, new friendships and to strengthen our relations with Africa and other countries,” Stewart said. This is the first official visit to Rwanda by a UK government minister since the UK general elections in June 2017.